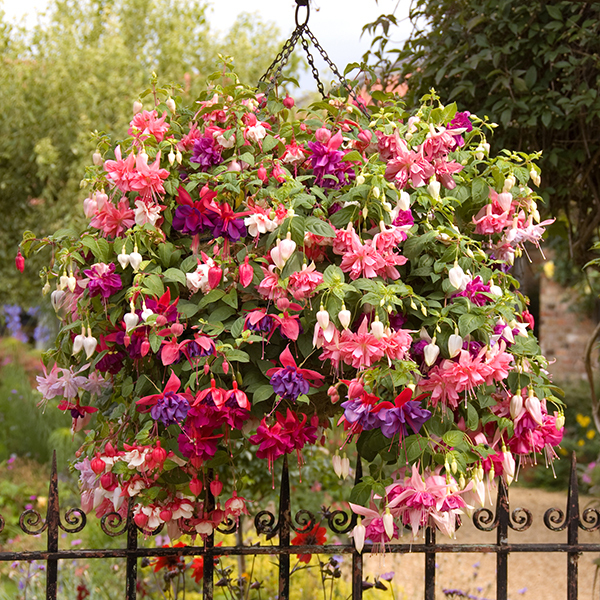 A must for every summer flowering display, hanging baskets are incomplete without at least some fuchsias, and you'll certainly love these giants! A regular best-seller with gardeners, they perform year in year out, whatever our summer weather throws at us, with layer upon layer of delicate petals. 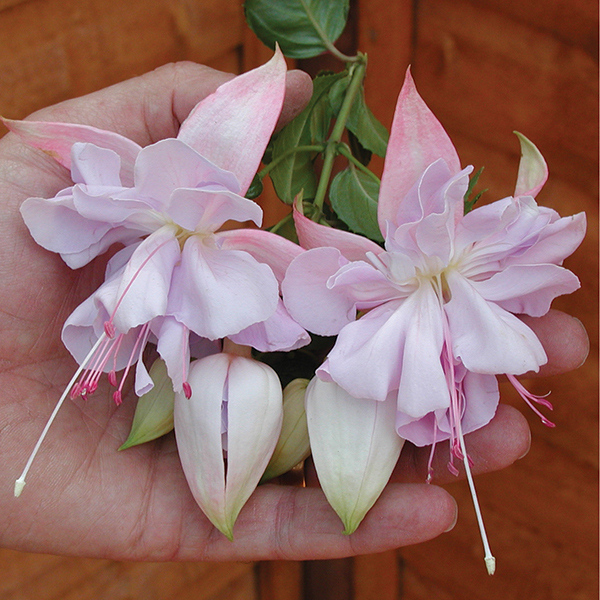 Breathtakingly beautiful and always drawing admiring glances, each flower is up to 10cm (4 inches) across! 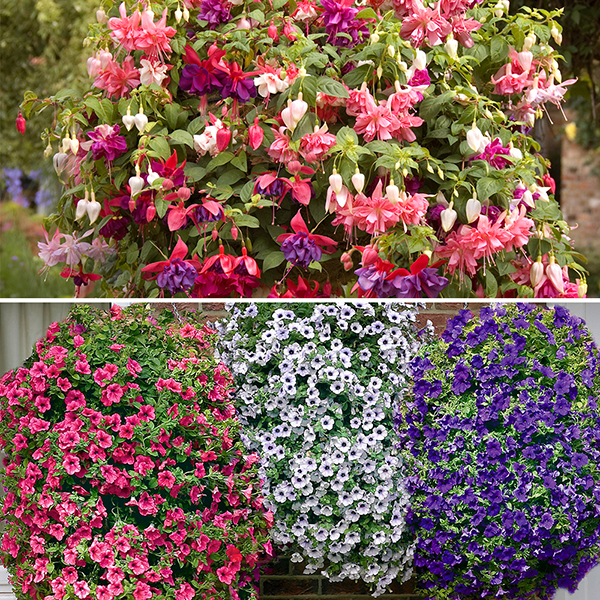 These 3 varieties have been selected for their huge flower size and summer long performance and beautiful colour combinations. They always look best when planted up where they can trail and you can look up in to the blooms, as they cascade over the side of baskets. 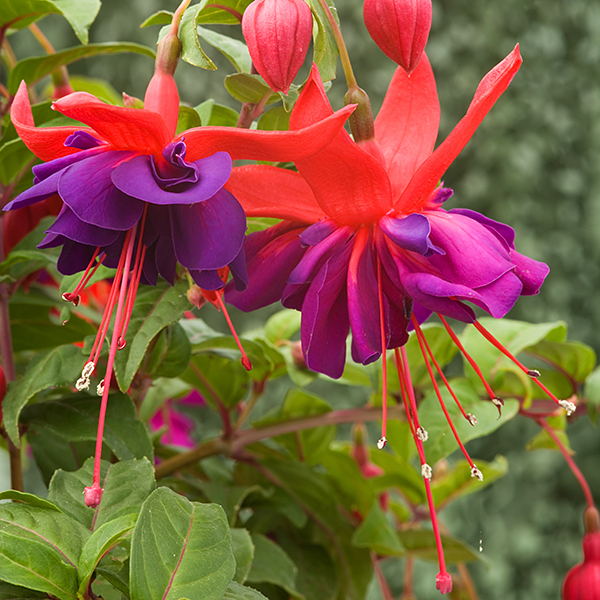 Be part of the fuchsia revolution and discover why Jumbo Flowered Fuchsias are lighting up British gardens too! 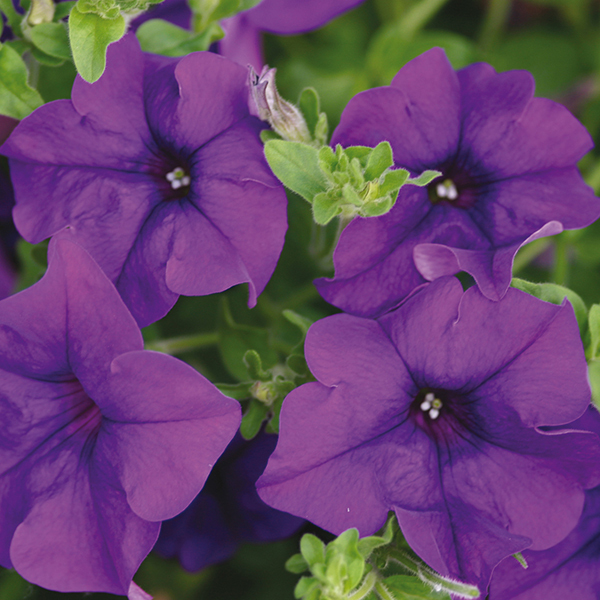 Along with fuchsias, 'Surfinia' Petunias top the list of flowering basket plants, with an unending display of incredible colour from May until October, flowering all along their trailing stems! 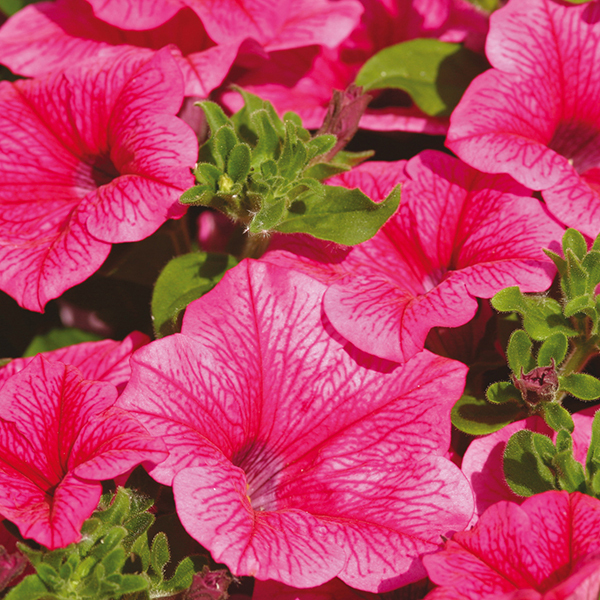 Bred and developed to produce the biggest, best and longest display of any variety, their trumpet shaped flowers even have a gorgeous sweet fragrance so it's no surprise that they're so popular. 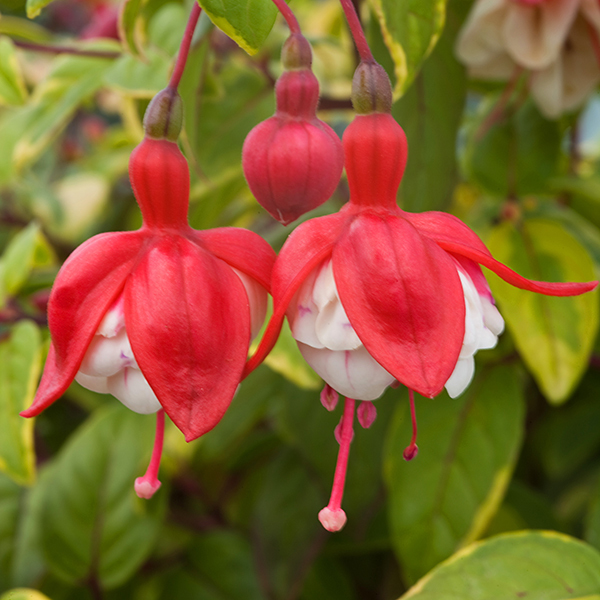 As well as incredible flowering prowess, they're also vigorous and low maintenance, disease resistant and also very weather resistant. 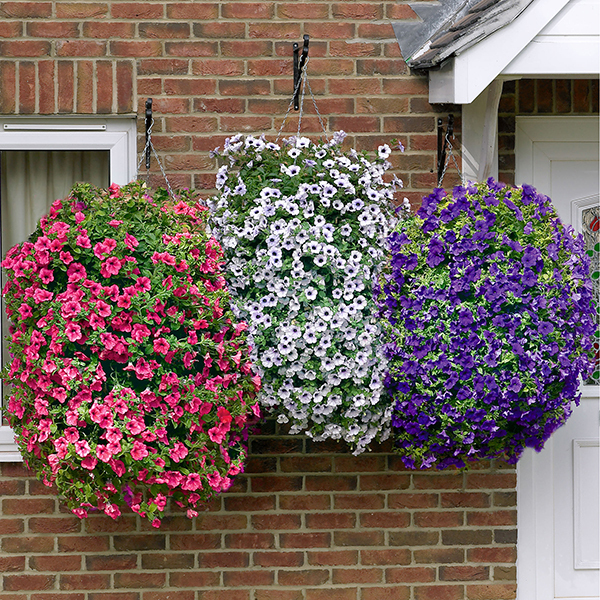 Plant 'Surfinia' Petunias in any hanging basket or container with enough height for them to trail (which can reach over 90cm (3ft) long!) or even in beds and borders where they will provide a colourful summer ground cover, smothering any weeds that try to grow. 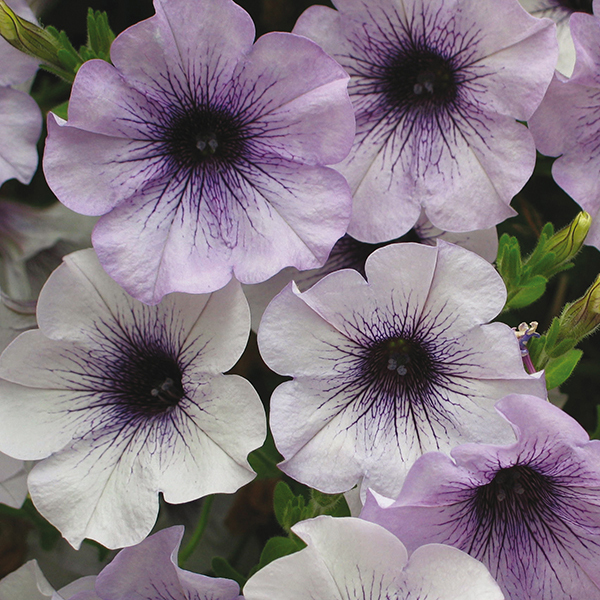 If you would like a truly impressive display this year with a torrent of flowers cascading from your hanging baskets, pick 'Surfinia' Trailing Petunia!